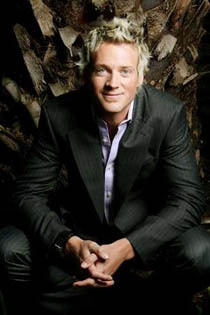 The Australia Day Live concert in 2008 will air on the Nine Network with Jules Lund scoring the host role. The annual concert on the Parliament House lawn has traditionally been a TEN Network show. In 2007 it was hosted by Gretel Killeen. But Nine is now the official television media partner, allowing A Current Affair the honour of announcing the Australian of the Year. The official awards ceremony will be hosted by Lisa Wilkinson and Karl Stefanovic later as part of the 8:30pm concert. Acts for the concert will include Ben Lee, ARIA Best Male Artist Gotye, The Veronicas, Richard Clapton, and Ricki Lee. But how live is LIVE? The official website says the show kicks off at 5:30pm. On Nine it won’t start until 8:30pm. The annual Australia Day Live concert – held on Australia Day eve on the lawn of Parliament House Canberra – is heating up with more Aussie artists added to the already stellar line up. The free two-hour concert on Friday, January 25, will see The Basics, Thirsty Merc, Tripod, Blue King Brown and Katie Noonan join Ben Lee, Gotye, Richard Clapton, The Veronicas and Ricki Lee in the festivities. The evening aims to kick start the Australia Day long weekend and is a chance to celebrate the Australian spirit, sense of humour and national pride. GETAWAY’S Jules Lund will host the concert in front of an expected 35,000-strong crowd. On stage beforehand is the announcement of the four recipients of the Australian of the Year awards – Young, Senior, Local Hero and Australian of the Year. The official awards ceremony will be hosted by Lisa Wilkinson and Karl Stefanovic from the TODAY show. Channel Nine will air the announcement of Australian of the Year exclusively on A Current Affair at 6.30pm, with the concert and full awards ceremony screening from 8.30pm. Anyone know the name of the presenter that did the crowd-warming at this concert during the adds? Not Jules, that other guy.. The ultimate Aussie Richard Clapton belted out ” Best Years of our Lives”, Lucky Country”. All youth of Australia need to be exposed to this Aussie legion. Love Lisa & Karl, glad 9 is doing it this year, but I really hope they get some better entertainment than that lineup. Apart from Ben Lee who is great and Jules should add some fun. Bring on some good entertainment, can’t stand The Veronicas and Ricki Lee. be interesting to see the numbers for this with a network switch, they have been abysmal on ten in the last few years if memory serves.. Excellent news…. it’ll finally be seen by the general public. And “yay” for Karl and Lisa… best on-air team on TV right now, me thinks. TEN might have had it in HD, but NINE……….